As water supplies become increasingly scarce, evaporation control on our ponds will become more important. Evaporation can be minimized by covering the liquid surface. Covers are normally used in arid climates where water or other liquid loss is a significant expense. This typically occurs in climates with seasonal rainfall, or in very arid climates. A modular floating cover stops evaporation by preventing the dry ambient air from contacting the water in the pond. 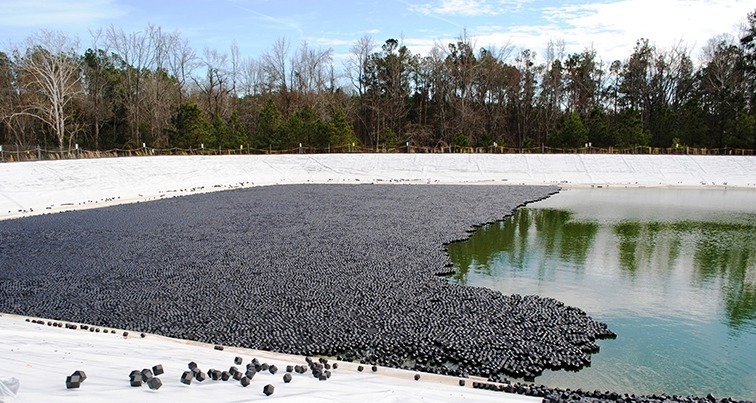 These covers, such as the Armor Ball® and Hexprotect® covers, are particularly effective for irrigation ponds in desert climates; especially when the water used for irrigation has to be transported from another region. A floating covers will also help to prevent the concentration of pond liquids. This helps to control mineral accumulation in irrigation water and protects water used to water livestock. 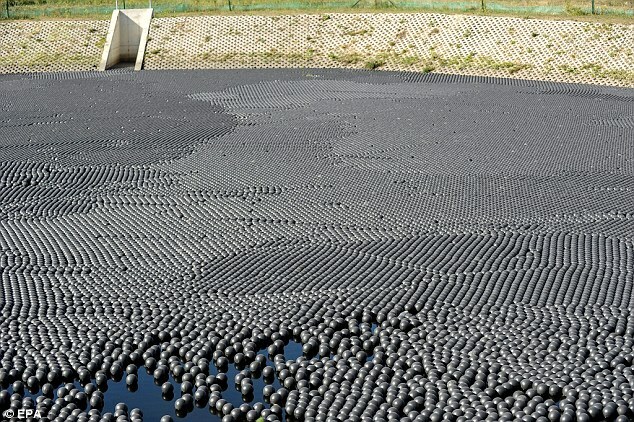 Floating ball cover are used for evaporation control in reservoir and above ground tanks. Furthermore, our floating covers is to prevent the growth of algae. AWTT covers are opaque to sunlight. This inhibits the growth of algae and other water plants. Using an evaporation control cover will not only retain precious water volumes but will also help prevent the contamination of water through the growth of plants and algae. 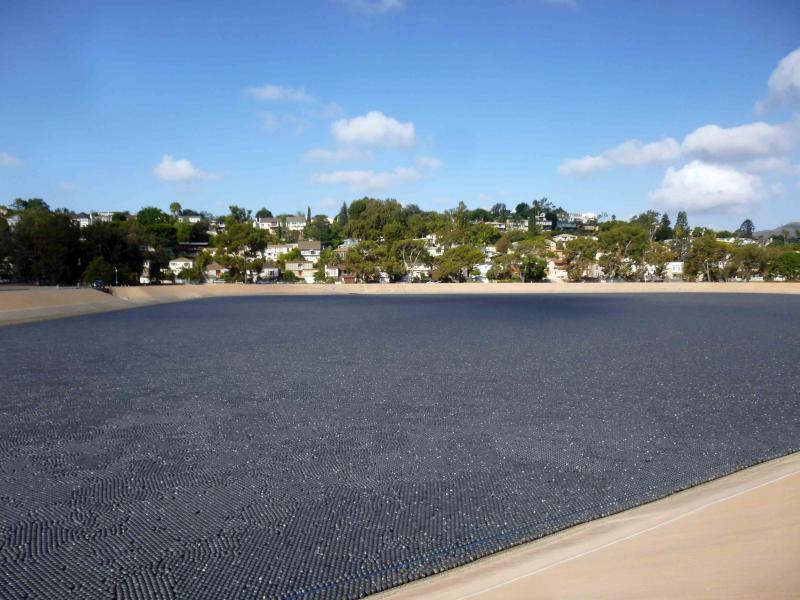 AWTT Hexprotect® modular floating covers are an economical way to prevent water loss from irrigation and water storage ponds in arid climates. It is suited to agricultural and raw water storage applications where a low-cost cover is required. Furthermore, we also offer our patent pending hybrid Hexoshield cover, which combines the benefits of our Hexprotect floating cover and our Armor Ball cover. Compared to Armor Ball, the Hexoshield does not leave open gaps in between elements, increase coverage from 91% up to 99%. Evaporation control is improves by 8% over regular modular covers. The high draft (4.5″+) of the cover makes it extremely stable and wind resistant. Elements interlock with each other in a manner that prevent overlapping generally seen with covers with draft of 1″ or less.